More than just the home of Starbucks, Seattle and nearby Tacoma in Washington state are a Mecca for glass art. 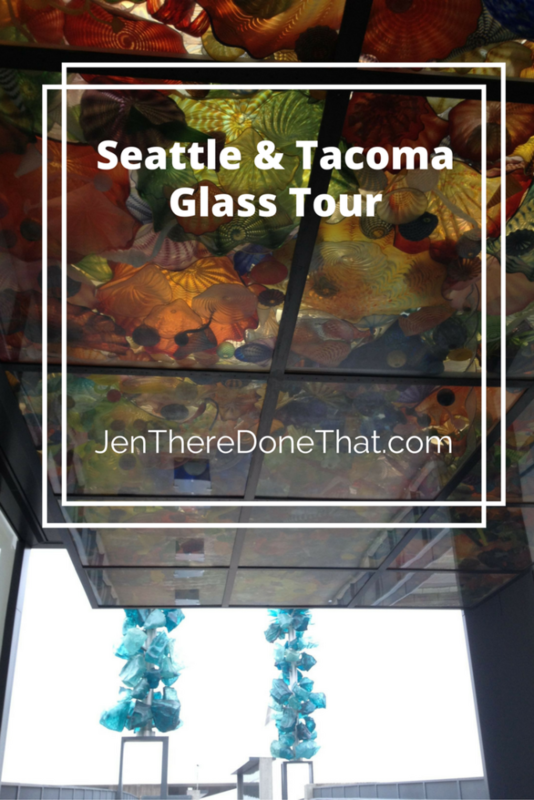 In every hotel, street corner, Seattle center, and all around the Seatac area are beautiful displays of glass. On many earlier trips I noticed the glass, but never knew the story. On this visit to Seattle I found myself in Tacoma for 4 days and 3 nights in the middle of my Seattle visit. I remember driving through and around Tacoma, but this was the first time that I spent more than a few hours there. Over the course of these few days, I discovered a few things. 1) Chihuly is a guy. I have seen the Chihuly glass exhibit at the Desert Botanical Gardens, and I always (incorrectly) assumed it was a type of glass. Nope it is a guy, while a rather distinctive style. 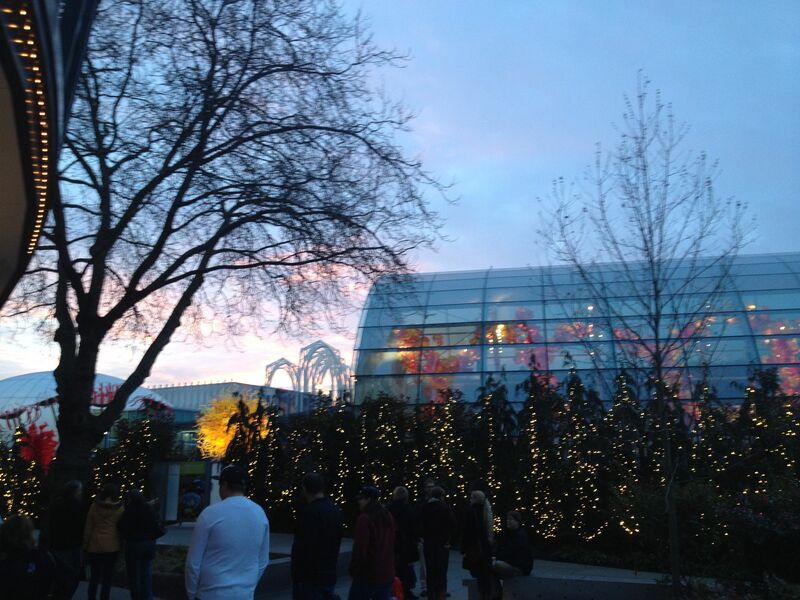 2) Dale Chihuly is from Tacoma. Born in Tacoma and studied in the Tacoma/Seattle area. 3) Chihuly’s glass art is on every street corner, on display in hotels, and convention center in Seattle and surrounding areas. 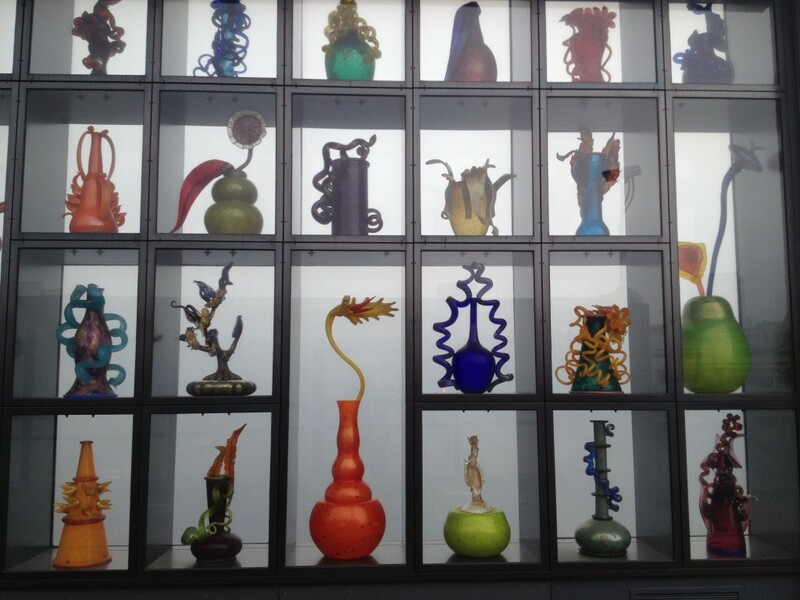 Seriously, we could not turn a corner without seeing a glass display by Chihuly, or inspired by. 4) Dale Chihuly is the most interesting person from Tacoma. 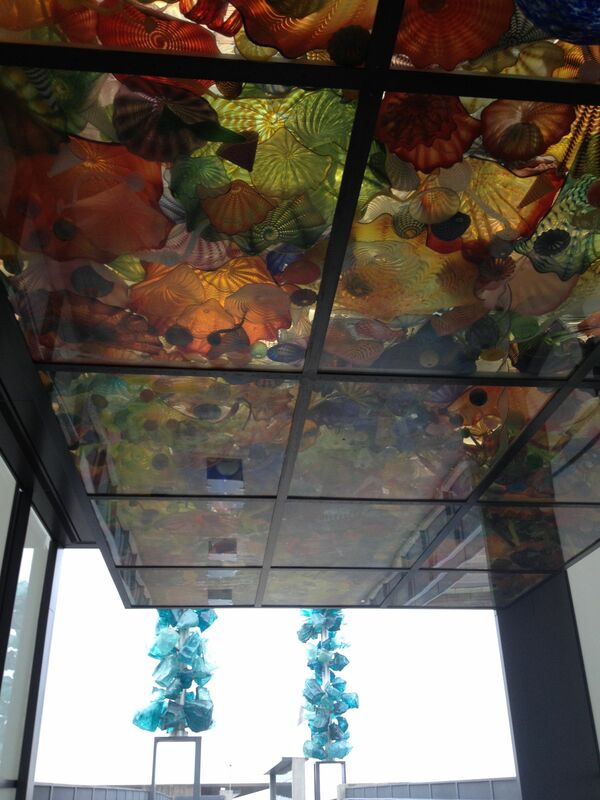 5) The most interesting thing to do in Tacoma is to visit the Museum of Glass and the Chihuly Glass Bridge pedestrian walkway from “downtown” Tacoma to the museum. Overall, the glass art on display in public is just as good, and in many ways better, than the museum displays. 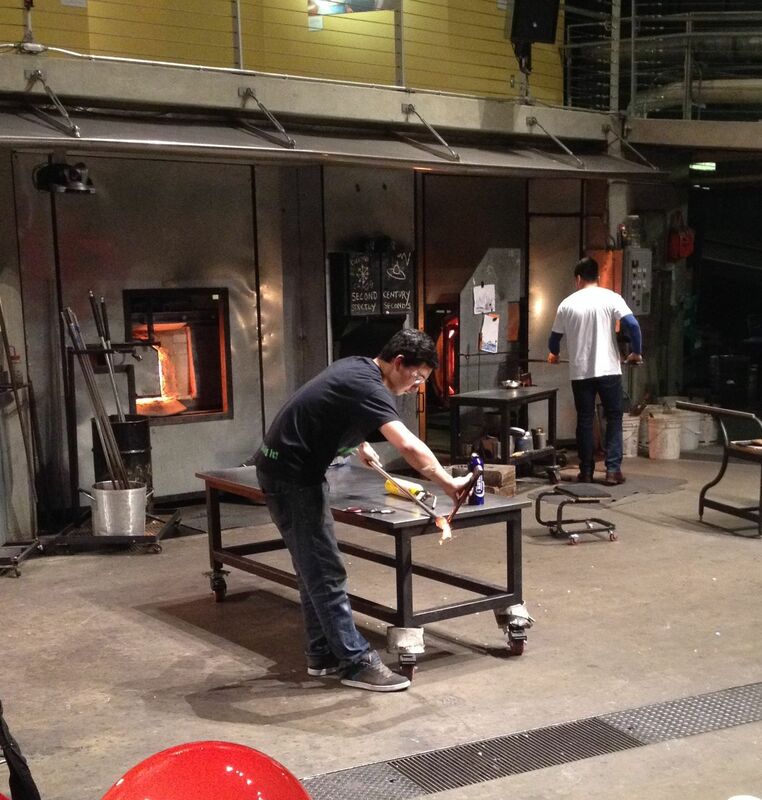 The Hot Shop is really what makes the Museum of Glass worth visiting. 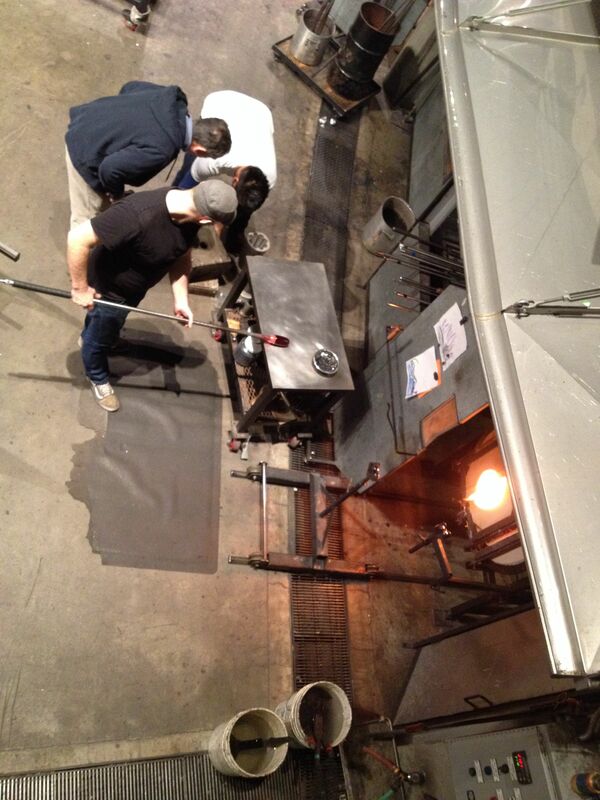 In the Hot Shop, there is a team of glass blowers working on various projects. I watched several individual projects like the glass Zebra created in a matter of minutes, to team projects that took 3 guys over a hour. The “resident” glass artist is invited or can apply for a residency of a couple days up to weeks to work in this amazing facility. On my particular visit, the resident artist is Jason Christian, a team of professional artists, and a MC with 10 years experience as a glass blower to narrate and answer questions. Sit down and watch them work, or walk around the cat walk for a better view. Seattle is very high on my list of things to see. I love art at this glasswork is so colorful! The kids would love, it too. I did not know, though how much of the glasswork art was all by the same artist. I love to prepare the kids so I’ll have to refer back to this information on Chihuly! I have always been fascinated by glass blowing and whenever we visit northern Italy I can spend hours watching the glass blowers around Murano. I love the beautiful colours and the way the sun filters through. On a recent trip to Seattle, I visited a gallery who was showcasing the most amazing glass art as an exhibit. I now am wondering if it was this same artist, Dale Chihuly, on display. 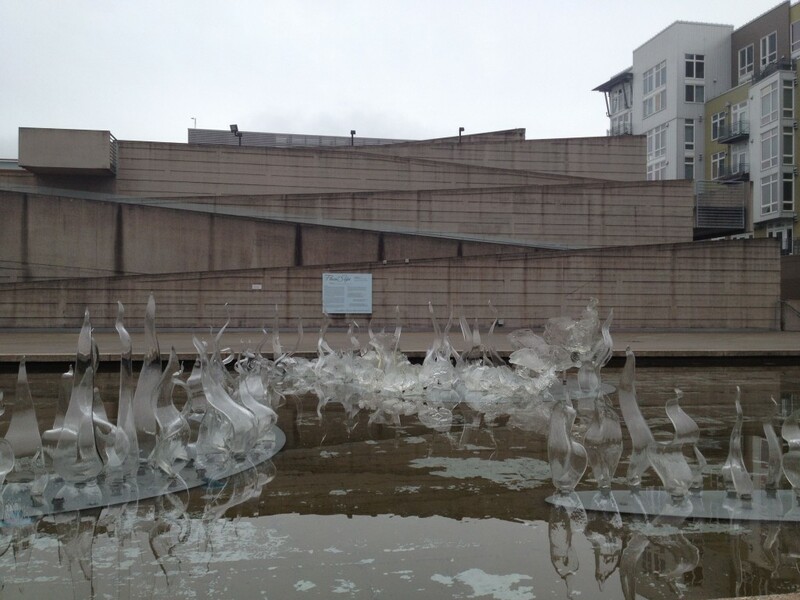 The blown glass sculptures were the most amazing thing. However, I did not know that it was a known art form for the area of Seattle/Tacoma-how neat! Thanks for the post. Would love to visit this place! The colours of all the glass is incredible 😉 I really enjoyed creating my own vase at a little glass factory in Germany ! Had no idea that Seattle is home to Starbucks and is a mecca of glass art. My bff have recently moved to seattle and keep posting pictures on FB but have never told about the glass walkway thanks for sharing will ask her to check Museum of Glass for sure. 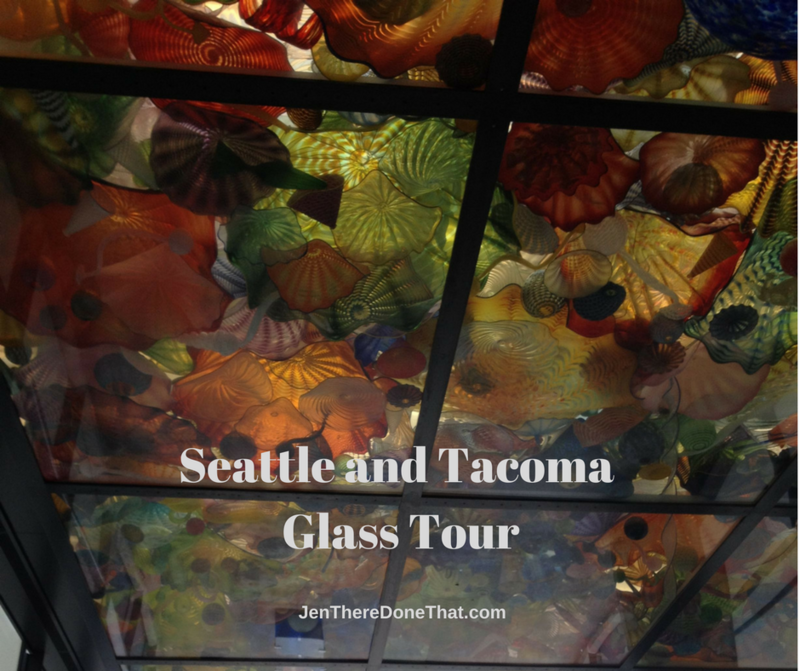 The Museum of Glass is in nearby Tacoma. 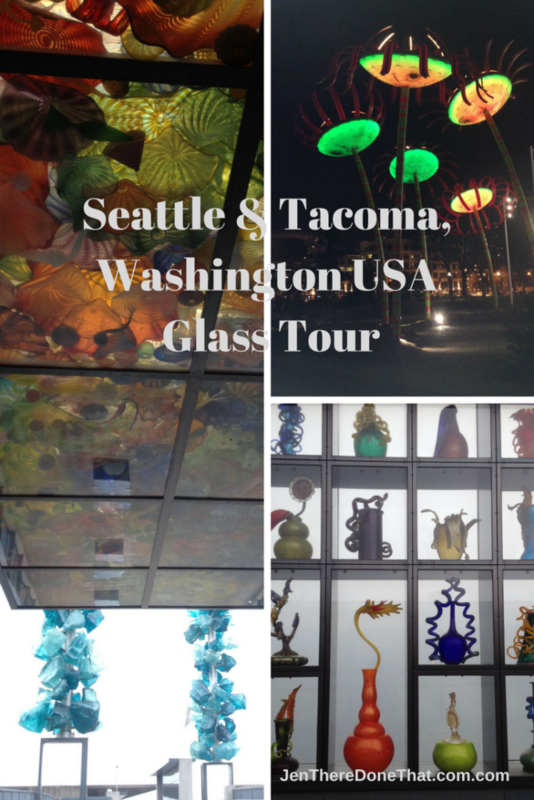 There are many glass art exhibits throughout Seattle that she can check out! 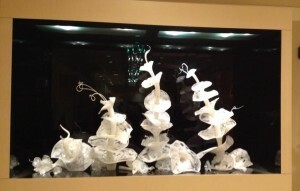 I’ve seen videos of people making these glass sculptures and designs. It’s surreal. 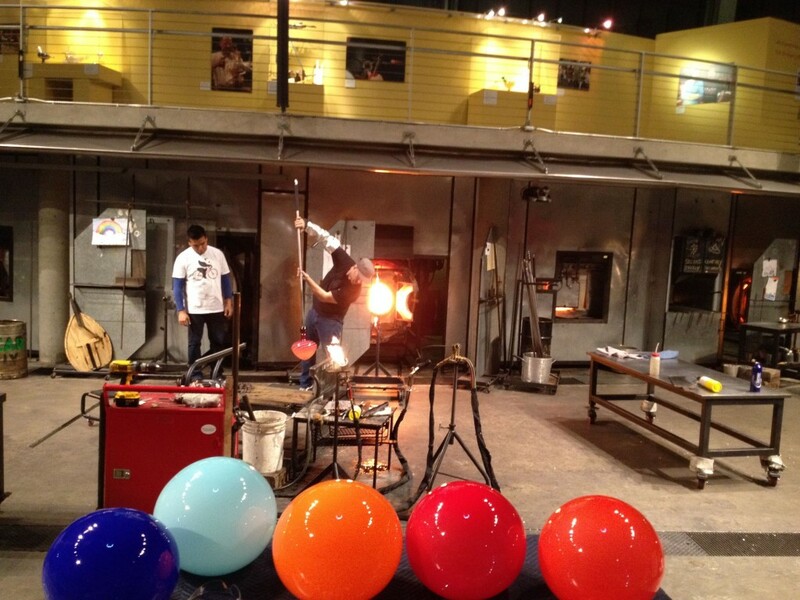 Somehow I always feel that if it was me I would goof up and accidentally touch molten glass with my hand. Love the picture of the bridge. It is really beautiful. Wow, so colorful and creative. I have seen Chihuly’s work at the Bellagio hotel in Las Vegas and it was amazing. I would love to view more of his work and get close to it. The museum looks like the perfect venue to enjoy the glass pieces of art and see how they’re made. Nice post. The Bellagio is the first place that I saw Chihuly’s work. I just love the glass flowers on the lobby ceiling! 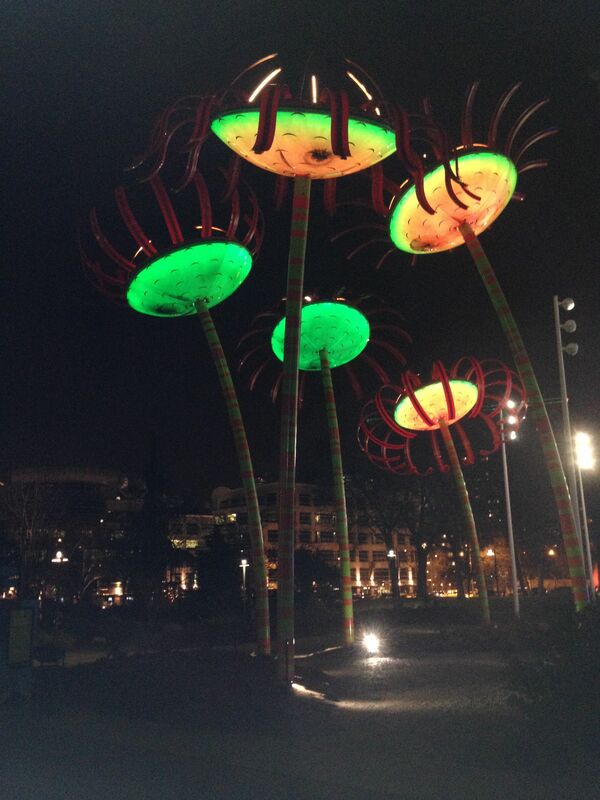 Dale Chihuly has certainly made a name for himself in Seattle / Tacoma. 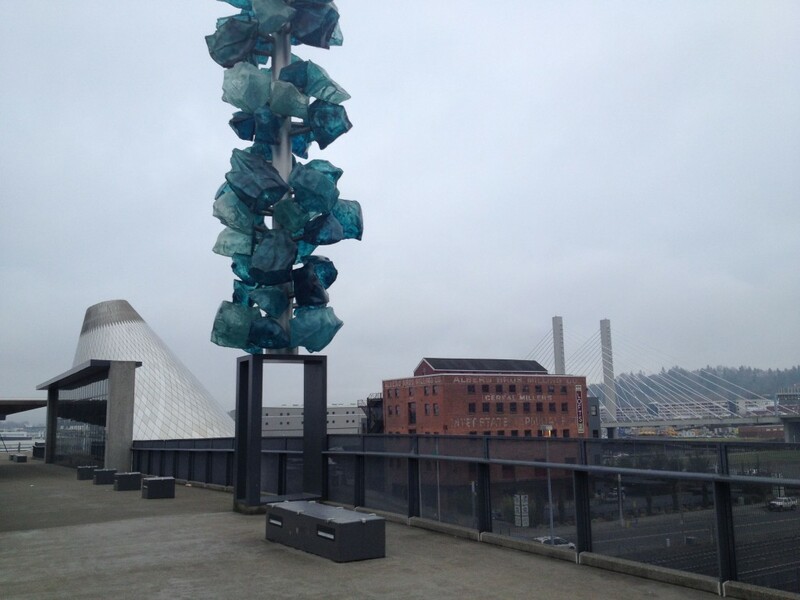 The glass walkway in Tacoma sounds very interesting I’ll have to walk on it one day. 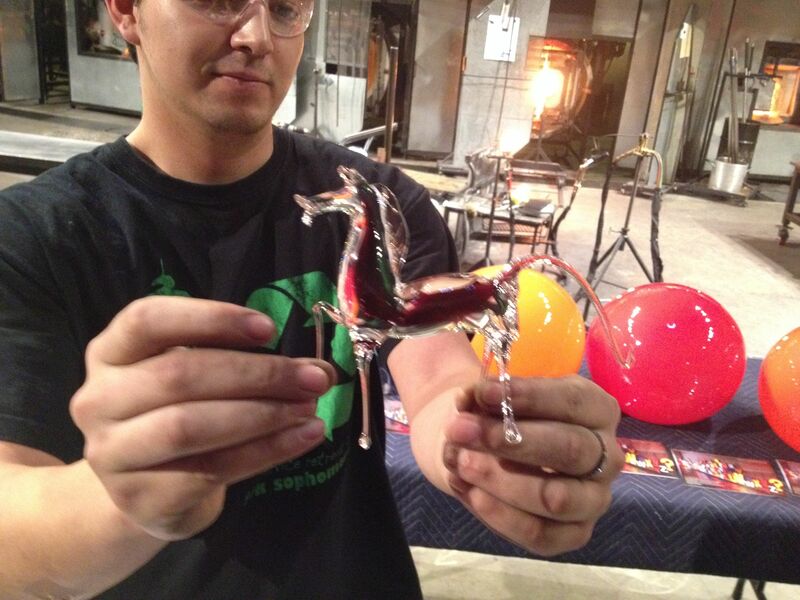 I have no idea how it could be possible to create a glass zebra, you must have learnt so much watching the artists.